COLUMBIA, Md. (Jan. 11, 2018) – The Porsche Club of America (PCA) Club Racing Trophy East series is undergoing several exciting changes for its 2018 season, welcoming in GTC Cup cars, including the 991.1 and 997.2 versions of the 911, to join the Cayman GT4 Clubsport entries at each race event. The series will be traveling to six events for the 2018 season at some of the United States’ most challenging courses. The tentative 2018 schedule was announced at the championship celebration banquet in late October at the Goodyear 500 Club at Daytona International Speedway following the last race of the 2017 season. The 2018 season will kick off April 6-8 at Road Atlanta in Braselton, Georgia, where the series has started its season the past two years. The second event will be May 18-20 at Barber Motorsports Park, Leeds, Alabama, which marks the series’ second visit to the iconic road circuit. The PCA Club Racing Trophy East series will also return to VIRginia International Raceway in Danville, Virginia, and Monticello Motor Club, a premier automotive country club about two hours north of New York City. Those races will be held June 22-24 and July 13-15, respectively. Rounding out the season will be a race over Labor Day weekend, Sept. 1-3, at the legendary Road America course in picturesque Elkhart Lake, Wisconsin. The series finished its 2017 season on a high note at Daytona International Speedway and will once again have the 2018 season finale at the iconic track in Daytona Beach, Florida, Oct. 26-28. The events will continue to feature three races in an exciting, varied format relative to PCA Club Racing standards. The first and second races will be 30-minute sprint races. The third race of the weekend will be an endurance race lasting 80 minutes. Car classes for the 2018 season will include GT4 Clubsport, 991.1 GT3 Cup and 997.2 GT3 Cup. Entries included in the 991.1 and 997.2 classes include 2010-2014 GTC5s and 2013-2016 GTC6s (excluding the Supercup 991.1). 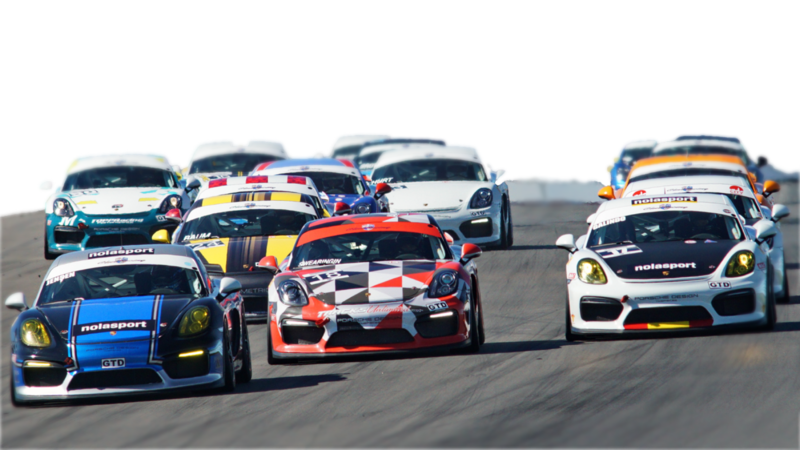 Racing in the PCA Club Racing Trophy East Series is divided into two classes per car class – Championship class and Masters class. The Masters class is designated for seasoned drivers. Each class is awarded with its own podium at the end of every race and individual champions at the end of every season. Pirelli will also return as the official tire provider of the series for the third season in 2018, and Porsche Design is also returning as a series sponsor. For more information regarding series participation, please contact Series Coordinator West Dillard at GT4CSE@pca.org. RACERS – Please click here for rules, pricing information and more.